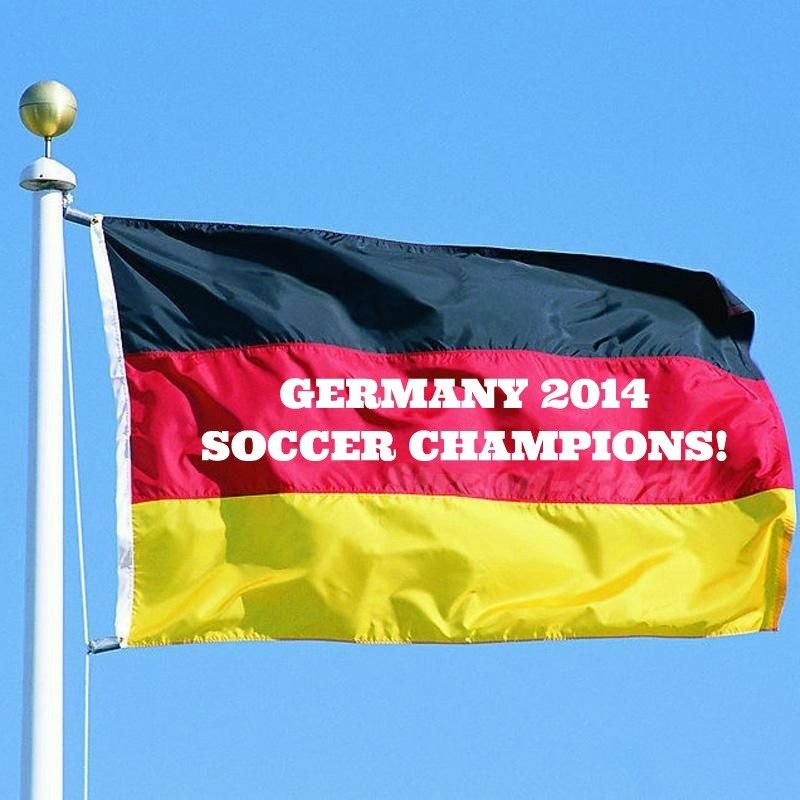 PHOTO OF THE DAY: GERMANY 2014 WORLD SOCCER CHAMPIONS – JAWOHL ! ! ! This entry was posted on July 14, 2014 by newyorkcityinthewitofaneye. It was filed under Uncategorized and was tagged with GERMAN FLAG soccer champions, Germans are the best!, GERMANY 2014 SOCCER CHAMPIONS!, GERMANY WORLD SOCCER CHAMPIONS!, Hans Von Rittern, New York City, New York photo, Photo of the day, photography, Queens, world soccer.